A highly-effective 2-step at-home facial peel + clarifying kit, with easy-to-apply cotton pads, helps remove dead skin cells, renew complexion, brighten, nourish, clarify as well as minimize the appearance of fine lines and wrinkles. use: Apply peel pad on clean, dry skin. Leave on for 2-5 minutes. Remove thoroughly with cool, wet cotton or cloth, or rinse off. On dry skin, apply clarifying pad. Do not rinse off. 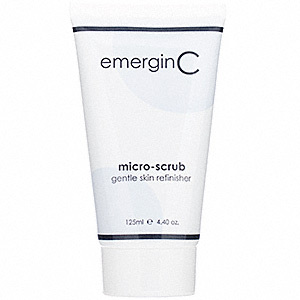 Follow with your favorite emerginC serum and/or moisturizer. For daily use, but if skin feels dry or tight, reduce frequency. results: Rapidly improves skin tone and texture, minimizes appearance of fine lines, wrinkles and large pores, brightens complexion, clarifies, soothes and nourishes. active ingredients: Natural fruit acids, lactic acid, aloe, cypress, tea tree, green tea, willow bark and apple extracts. An effective French-green-clay-based “detox” mask designed to draw out impurities, nourish, soothe, brighten, fight free-radical damage and improve tone and texture. results: Leaves skin bright, healthy and detoxified with a radiant glow. active ingredients: French green clay, kombucha, grape stem cells, algae extract, glycerin, brightening complex with xylose and galactose from palmaria palmata, food grade seaweed. application tips: Apply and leave on 10-15 minutes, then remove thoroughly. 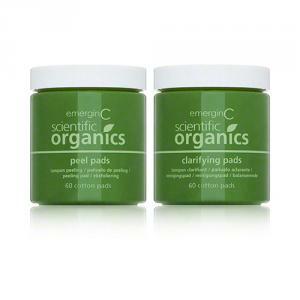 A clay-based therapeutic facial mask that assists in rapidly improving problem skin, breakouts, etc. results: Rapidly improves tone and texture of oily/problem skin, removes dead skin cells, absorbs excess oil, lessens redness. active ingredients: Calamine, colloidal sulfur, allantoin, chamomile. application tips: Leave on 10-15 minutes, then remove thoroughly. Follow with crude control. A gentle but effective micro-scrub with soothing plant extracts to help remove dead skin cells, helping to reveal a more vibrant, even-toned complexion. use: 1-3 times per week. results: Gently but effectively removes dead skin cells and rough skin, to help reveal a more vibrant, even-toned complexion. active ingredients: Apricot seed powder, walnut shell, oat kernel, calendula, beeswax, almond oil, camphor. application tips: Apply on wet skin, gently massage for up to two minutes, then remove thoroughly. 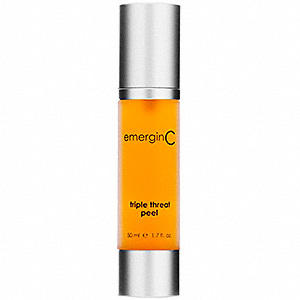 An intensive, active peel to help rapidly renew complexion. skin types: All skin types, except very sensitive. results: Rapidly removes dead skin cells, renews complexion, improves tone and texture. active ingredients: Mixed natural fruit acids (lactic acid, citric acid, malic acid, glycolic acid, tartaric acid), salicylic acid, vitamin C, retinol, green tea, fig extract. application tips: Apply a thin layer, once a week, with cotton swabs or fan brush. Leave on 2-3 minutes, gradually increasing application time to 7 minutes if necessary. Remove thoroughly with cool water. Tingling and slight redness are normal. Peel may be immediately neutralized with cool water. Do not apply on broken skin. 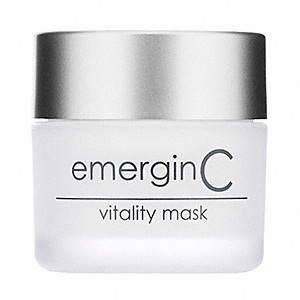 Follow with emerginC multi-vitamin, hyper vitalizer face cream, earth cream or active hydrating complex. 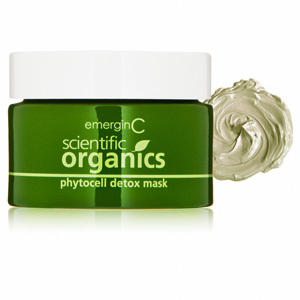 A rich, buttery, creamy mask with coenzyme Q10 and alpha-lipoic acid that soothes, hydrates, nourishes. skin types: All skin types. Excellent for red, sensitive, dry, tired skin. results: Soothes, calms, hydrates, nourishes, reduces redness. active ingredients: Coenzyme Q10, alpha-lipoic acid, lutein, vitamin H, vitamin E.
application tips: Apply and leave on 10-15 minutes before removing or massaging in. Excellent after sun exposure. An intensive, clay-based mask that gives noticeable results from just one application. Removes dead skin cells, evens out skin tone, leaves skin glowing. use: 1-2 times a week. results: Gives skin a visible boost, removes dead skin cells, helps even skin tone, brightens complexion. 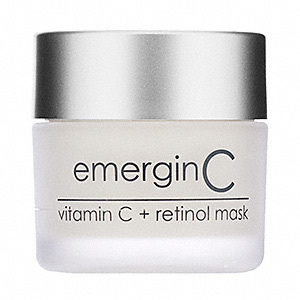 active ingredients: Vitamin C, lemon juice, retinol, green tea. application tips: Apply a thin layer and leave on 10-15 minutes, then remove. Tingling is usual. 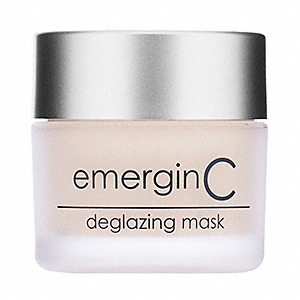 Follow with your favorite emerginC moisturizer.